The answer is political, rather than doctrinal. 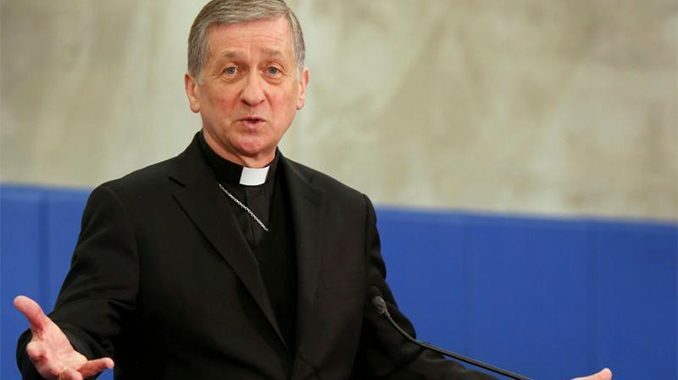 The Archbishop of Chicago, Blase Cardinal Cupich, made headlines earlier this week when he announced a series of theological seminars on the post-Synodal Apostolic Exhortation, Amoris laetitia. Featuring competent theologians – most of them young, several of them women, almost all of them on record as pushing the doctrinal envelope – the seminars are organized for small groups of 15-20 bishops of the United States, whom Cupich has invited to participate. The lengthy talk that Cardinal Cupich gave recently to the Von Hügel Institute of St. Edmund’s College, Cambridge, provides the backdrop to the series, which is an outgrowth of a two-day gathering on Amoris late last year at Boston College. The Cardinal’s speech at St. Edmund’s was chock-full of buzzwords and technical theological jargon, peppered with references to Pope Francis’ own writings and statements on various hot-button issues. 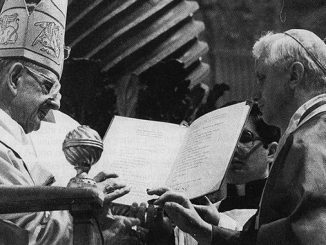 The speech itself garnered broad attention in the Catholic press. The doctrinally challenging and even problematic portions of Cardinal Cupich’s remarks have received extensive treatment. The question few are asking is: why? Why this? Why now? In November of last year, the USCCB preferred Archbishop Joseph Naumann of Kansas City over Cardinal Cupich for the leadership of the Bishops’ Committee on Pro-life Activities. Widely treated in the news analysis as a referendum of sorts on Pope Francis’ approach to pro-life advocacy, a few commentators – most notably John Allen at Crux – saw the election as at least in part a sign of the bishops’ reticence to work with Cupich. If that’s the case, then this series of little get-togethers may well be the result of Cardinal Cupich’s decision to take his ball and go – not home, but – to the next pitch over, to play a new and different game. It is highly unlikely that the seminars will come to much theologically. For one thing, the speakers’ list is far too homogenous in its intellectual outlook and orientation to generate any really fruitful discussion or debate. For another, the lines in the sand over Amoris are already drawn. 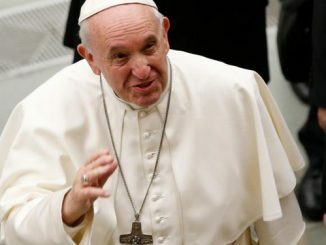 Finally, even if the seminars do end up creating a sort of unified camp for the promotion of participants’ broadly agreed view of Amoris Laetitia, the movement is almost certainly destined quickly to lose whatever momentum it gets from the first push, unless it is able to garner the institutional support needed to sustain it. Given the circumstances, that, too, is highly unlikely. We will see! To steal from one of the Anons over at 8Chan, “Future proves past”. The best response I have to “why now” is related to what is transpiring in Pinerolo Italy. 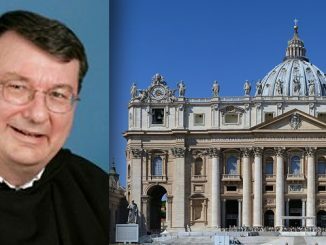 Marco Tosatti reported the Pinerolo Diocese issued a statement on Amoris Laetitia that says “The marriage thus continues to be indissoluble [indissolubile] but not unbreakable [infrangibile].” Pinerolo approves a position on marriage that parallel’s that of presenter for the Cupich Seminar canon lawyer Msgr Jack Alesandro. Alesandro criticizes the legalism of canon law practice. He capsulizes the Seminar’s theme elicited he says from Amoris that sacramental marriage is realized when the continued maturity of the spouses feelings reach the level of mutual loving commitment. All marriages are soluble at any time and persons can remarry and receive communion if their first marriage didn’t reach that point of a loving mature commitment. Here I quote an excerpt from my response to someone. “You’ve been marvelously faithful. Your husband abandoned you approx 1998. Pope John Paul II was aware of the heresies already practiced in the Church and wrote Consortio Familiaris. The priest who told your husband back then that if he “felt there was no longer ‘love’ in the marriage then it was not a marriage, and he was committing adultery by remaining in it” was stating the exact bizarre heresy now openly promoted by presenter Msgr Jack Alesandro for the Seminar now under way on Amoris Laetitia. Many will apparently be misled and many souls may be lost believing their vows were invalid. We know the promises exchanged before Christ were a commitment to love Him and each other that is sacramental and indissoluble. The seminars will be the ultra liberal preaching to the ultra liberal, in their effort to become the Episcopal Church. Cupich is basically the “Episcopal Catholic Church of America”‘s Pope. We will see how many and which bishops actually attend these seminars. A few have promised, but when the seminars actually convene then we’ll see if his Eminence has a hit show or a flop. If only a handful of bishops come to the first, my guess is they’ll not have the other two (to avoid embarrassment). “Institutional support”? I know you mean internal Church support? But what about other institutional support? I think it only a matter of time when these progressive bishops begin to solicit more support from progressive outsiders with big check books, just like the Boy Scouts and others, so they can keep the momemtum going. And with the Vatican not watching the playground – who is going to stop them. The bishops who go will go to be seen, in hope that they will be promoted. Cupich will change no minds and hearts. He is not suited for that anyway. He is far to dogmatic in his theological error to tolerate any dissent from his dissent from the deposit of faith.